SACRAMENTO — Assemblymember Warren Furutani (D-Long Beach), outgoing chair of the Asian Pacific Islander Legislative Caucus, has announced a new website for the caucus (www.apilcaucus.com) and the caucus’ endorsement of five incumbents and five new candidates in the November election. Furutani did not seek a third term; Assemblymembers Mike Eng (D-Monterey Park), Fiona Ma (D-San Francisco) and Mary Hayashi (D-Hayward) are termed out. All four are leaving the Legislature at the end of November. “You will see that we are focusing on the upcoming November elections,” Furutani wrote on the site’s home page. “Of course this makes sense because our mere existence is predicated on electing API legislative candidates … Our short-range goal is to replace our exiting members with the election of five new members. At a total membership of 12, this will be an all-time high for the caucus. “I would also note that all our members and candidates are Democrats. This should be no surprise. There are 52 Democrats, 27 Republicans, and one independent in the Assembly. There is not one APIA, Latino, African American, or LGBT member in the Republican Caucus. That says it all. “We are also recommending a yes vote on Prop. 30, a no vote on Prop. 32, and will be looking into getting buses to bring API activists and volunteers to walk precincts in Nevada for President Obama. Due to redistricting, incumbents are running in new districts that include areas they did not previously represent, making re-election more difficult. Following are the caucus’ profiles of the 10 candidates it is supporting. • Rob Bonta, 18th Assembly District. 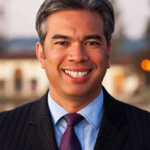 A husband and father of three, Bonta is the vice mayor of the City of Alameda and an Alameda County transportation commissioner. Throughout his career in public service, he has distinguished himself as a strong advocate for public schools. He has fought for public safety, to foster economic development, exercise fiscal responsibility, and improve recreation opportunities for families. Bonta recently worked with the Obama administration to acquire nearly 1,000 acres of former Naval Base property to be used for significant economic development and job creation for residents of the East Bay. Prior to being elected to the City Council, he was an elected member of the Alameda Health Care District Board of Directors, where he played a key role in stabilizing the finances of Alameda Hospital. He is also a deputy city attorney for the City and County of San Francisco. • Edwin Chau, 49th Assembly District. Chau has been on the Montebello Unified School District Board of Education for the past 12 years, serving as board president three times. Under his tenure, API (Academic Performance Index) test scores increased by 160 points, and attendance rates reached 95 percent. He helped to pass a $98 million school bond that resulted in an additional $73 million in state matching funds to help relieve overcrowding, make repairs, and finance renovation for MUSD’s aging schools. Chau advocated for MUSD’s cutting-edge, $30 million Applied Technology Center, offering students career pathways in architecture, engineering, public services, health services and hospitality. He is also an attorney with the law firm that he founded 17 years ago. • Al Muratsuchi, 66th Assembly District. 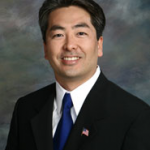 Muratsuchi has served as a Torrance Unified School District board member for the past six years and was board president in 2009. During his tenure, Torrance Unified has maintained its status as a high-achieving school district despite state budget cuts, consistently delivered a balanced budget of up to $200 million, and embarked on the largest school repair and modernization program in the district’s history. Muratsuchi represents Torrance Unified as a board member of the Southern California Regional Occupation Center, a joint career technical education program provided by seven South Bay school districts, including Manhattan Beach, Palos Verdes Peninsula, Redondo Beach, and Torrance. 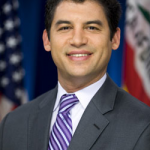 He is also a deputy attorney general with the California Department of Justice. • Dr. Jennifer Ong, 20th Assembly District. Ong’s mother worked at the concession stands at Oakland Coliseum and her father was a produce man at Lucky’s. She and her three siblings were successful products of public school education and earned college degrees through their parents’ union benefits and accessible student loans. After acquiring accessible capital for a small-business loan, Ong purchased her optometric practice, which she has continued to manage for over 12 years. She employs seven staff members and contributes to the local economy and the community. 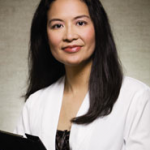 She has been an advocate for health care in Sacramento as a leader in the state and county optometric associations and the founder of the Alameda County Hepatitis B Free Campaign. In Washington, D.C., Ong served as a member of the State Government Relations Executive Board of the American Optometric Association. • Phil Ting, 19th Assembly District. Appointed assessor-recorder of the City and County of San Francisco in 2005 by then-Mayor Gavin Newsom, Ting has transformed one of the city’s worst departments and made it faster, smarter and fairer. He has worked to close a five-year backlog and has generated more than $290 million without any new taxes by bringing new technology, better management and employing his background in helping large organizations reform. As a local and regional leader, he has focused on promoting a strong economy, funding schools, promoting innovation in government, building trade ties to Asia, protecting homeowners facing foreclosures, and attracting high-wage green jobs. Ting chairs the San Francisco Advisory Board for ChinaSF, a new public-private partnership dedicated to creating economic development opportunities by making San Francisco the gateway for Chinese companies looking to establish business operations in the Bay Area. Through ChinaSF, San Francisco has attracted 13 new employers and created over 150 new jobs. He launched GoSolarSF, San Francisco’s solar energy incentive program, in July 2008. 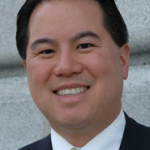 • Assemblymember Paul Fong, 28th Assembly District. 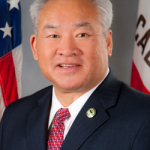 Fong is the chair of the Assembly Elections and Redistricting Committee and serves as a voting member of the Higher Education, Utilities & Commerce, and Water, Parks, & Wildlife committees. In addition, he chairs the select committees on High Technology and Climate Change & Coastal Protection. 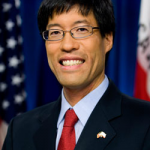 Fong is a member of the Community College Caucus, the Democratic Caucus, and the Environmental Caucus. Prior to being elected to the Assembly, he served on the boards of the Foothill-De Anza Community College District, the Foothill-De Anza Foundation Board of Directors, and the California Community Colleges Trustees. • State Sen. Carol Liu, 25th Senate District. Liu chairs the Senate Human Services Committee and Budget Subcommittee #1 on Education and also sits on the Senate Banking & Financial Institutions, Budget & Fiscal Review, Education, Governance & Finance, and Public Safety committees. The first Asian American woman elected to the State Senate, she has worked to improve public education, increase access to higher education, promote a sustainable environment and economic development, and preserve services for the elderly and other at-risk populations. She taught in public schools in Richmond, Calif. before becoming a school administrator, became president of the Pasadena City College Foundation Board, and served three terms in the State Assembly. 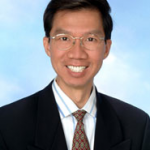 • Assemblymember Richard Pan, 9th Assembly District. Pan is vice chair of the Assembly Committee on Veterans Affairs and a member of the committees on Accountability & Administrative Review, Aging & Long-Term Care, and Health. As director of the UC Davis Pediatric Residency Program, he created Communities and Physicians Together to make medical students available to neighborhood associations wanting to improve the health of their communities. As co-founder and chair of Healthy Kids Healthy Future, Pan helped secure health, dental and vision coverage for over 65,000 children in Sacramento, Colusa, El Dorado, Placer and Yuba counties. He helped create the Sacramento Health Improvement Project, bringing together doctors, hospitals, clinics, and community leaders to ensure that local residents have access to primary health care. • Assemblymember Das Williams, 37th Assembly District. Williams serves on the Assembly committees on Education, Health, Rules, and Veterans Affairs. He is focused on reforming the state budget process, ensuring that California children have access to a world-class education, fixing the state’s dysfunctional health-care system, and protecting the environment, primarily through reducing the state’s reliance on oil and coal. Williams previously served on the Santa Barbara City Council, to which he was elected in 2003. He led the successful efforts to expand alternative energy produced by the city to ensure that 34 percent of the city’s energy comes from renewable sources by 2012. He worked to continue Santa Barbara’s commitment to environmental activism by fighting to preserve open space, and keep oil wells out of coastal waters. 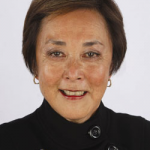 • Assemblymember Mariko Yamada, 4th Assembly District. 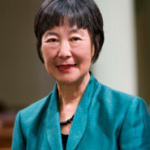 Yamada chairs the Assembly Aging & Long-Term Care Committee and she serves on the committees on Agriculture, Labor & Employment, Veterans Affairs, and Water, Parks & Wildlife. She also chairs the Assembly Select Committee on Sustainable and Organic Agriculture. Yamada continues her work to protect vulnerable populations, precious farmland and open space, and the Sacramento-San Joaquin Delta, the largest freshwater estuary in North America. Previously, she served on the Yolo County Board of Supervisors from 2003 to 2008. As a supervisor, she became the first chair of the Yolo County Commission on Aging and Adult services and helped to plan the first Aging Summit in the county’s history. For more detailed biographies and links to the candidates’ websites, visit www.apilcaucus.com. I thought that we were in a “post-racial” society? When are we going to start respecting and evaluating our political candidates based on their policies and their record as opposed to the color of their skin or their ethnic background? Al Muratsuchi is in the pocket of the public sector unions, including the California Teachers Union, which pulled strings to kill a bill which would expedite the dismissal of teachers who have committed lewd acts against school children. Al — Show us the money! Give the money back! Craig Huey for the 66th!